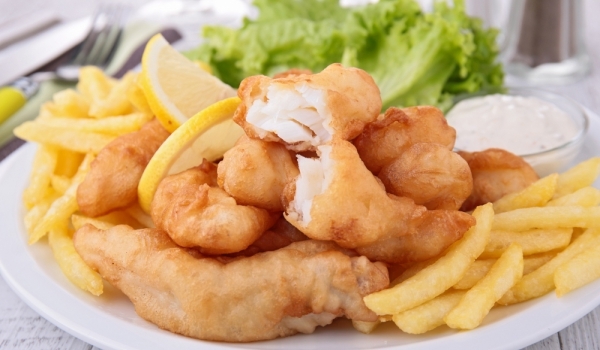 How to prepare breaded fish to preserve its nutritional value and get a crispy crust. How to prepare breaded fish or fish cooked on a grill, in the oven or steam is especially useful for our health. But very tasty and a favorite is fried or breaded fish. True, a calorie is, but the fish is fish and as long as you do not have allergies to it, it falls into the category of one of the healthiest foods. Many of us, however, experience serious difficulties when they decided to cook breaded fish. It is very easy to just let the fish in the pan to fry, but proper preparation of breading is another matter. – Most elementary and often practiced breading when frying fish oval first in flour, then in beaten egg and again in flour. In most species of fish you can even mix eggs and flour, but you must be already quite mumbo and boiling in the kitchen to hit the right dosage so that the breading is not too heavy or too light. 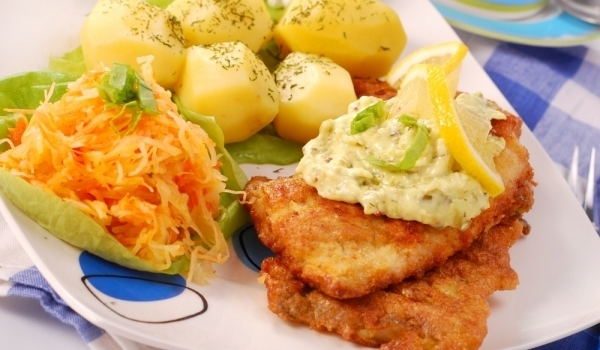 – Fish that have a distinct aroma and flavor, you can do breaded in crushed peeled almonds. Thus they acquire a gorgeous crispy crust and do not smell unpleasant.